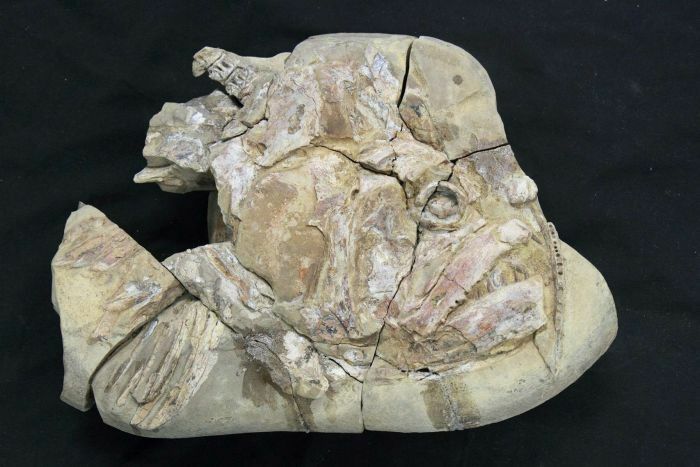 Fish fossils dating back 100 million years have been discovered in north-west Queensland. 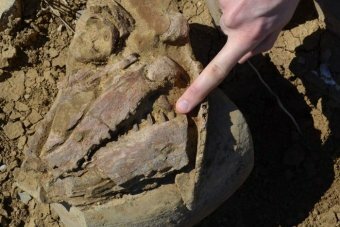 The discoveries were made on a property near Julia Creek and have now been prepared for display at the Kronosaurus Corner museum in Richmond. They include an eye socket of a huge predator fish called cooyoo. "The new find showed that cooyoo had far larger teeth than previously thought, with prior reconstructions depicting small, comb-like teeth in the upper jaw." "The two-centimetre-long pointed teeth were suited for gripping struggling prey, including other fish from the inland sea." "Cooyoo looked like the tarpon from hell, with a large under-bite giving it an exaggerated cartoonish appearance," Dr Timothy Holland from Kronosaurus Corner said. "It stretched over three metres in length and had a powerful tail enabling rapid movement. "Its only threats were large marine reptiles and sharks." Dr Holland said the fossils were well preserved and gave new insights into the creatures that lived in the area's ancient inland sea. "We were lucky in that it really needed minimal preparation work," he said. "We have little pneumatic drills, kind of like little jack hammers, and that was able to reveal some of the anatomic details but really we were lucky in that it seems like it's almost ready to go on the shelf at Kronosaurus Korner." Dr Holland said as well as the cooyoo, the remains of much smaller fish which were found inside a clam shell. "We usually just have isolated little pieces of bone of these really small fish, not articulated specimens but this contained about 20 of these tiny little fish, which is absolutely remarkable," he said. 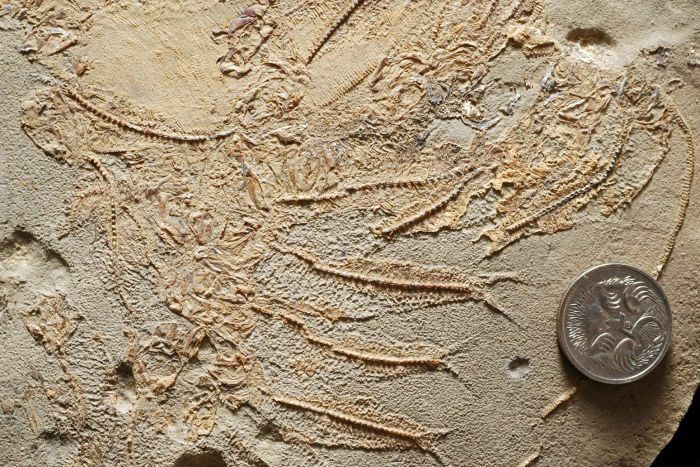 "The best preserved examples of small fossil fish from the inland sea of Australia."